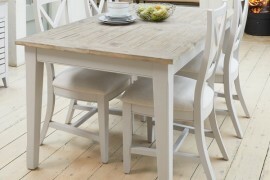 Do you want to know how to style your wooden furniture like a pro and give it an easy update? 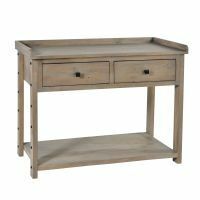 Here at The Wooden Furniture Store, we know that there is an art to making the most of your furniture and it’s all down to simple styling tricks. 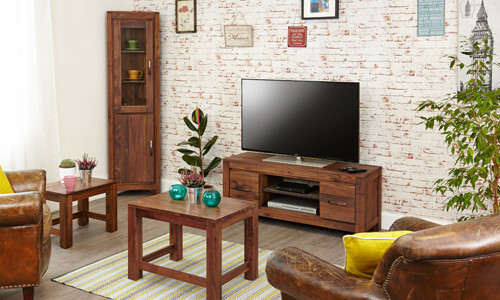 Of course, we’re a little bit bias but we think that wood is a wonderful material for furniture and to make the most of it’s beautiful grain and colour, we’ve put together our top nine tips so that you can style like an expert. 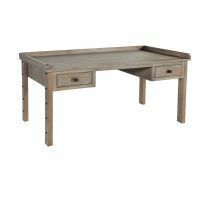 The coffee table is the hub of social activity in any living room. 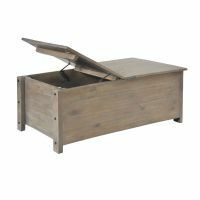 Focus on functionality with drawers or baskets underneath to provide a handy place to store TV remotes, coasters, reading glasses or any other everyday essentials that typically cause clutter. 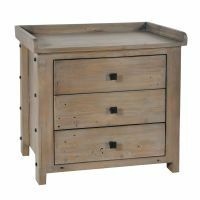 Our best selling Mobel Oak coffee table would be a stylish addition to any living room, it has four drawers and a useful storage shelf at the base – perfect for hiding everything away. 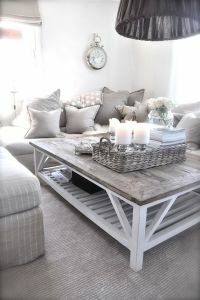 Think about varying the balance of items on a coffee table. 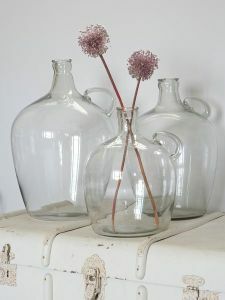 Start with something large in the middle for example an interesting vase of flowers or a large bowl and then style outwards. 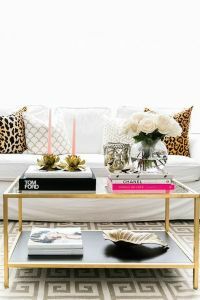 When creating your coffee table arrangement, it’s important to think about height, colour and scale. 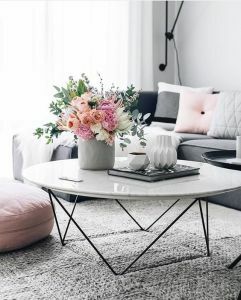 Try to pick three objects or three groupings of objects whose scale and colour go with one another and the rest of the room. 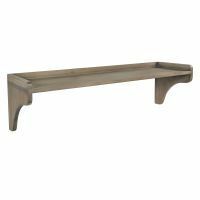 To keep objects orderly and pleasing to the eye, use trays to group similar items, such as ceramics and pillar candles together. 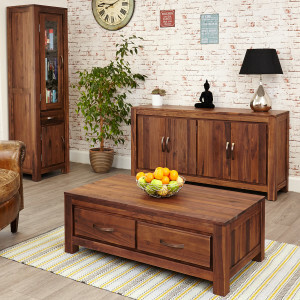 Sideboards are a must have storage solution for many living rooms. We think that what’s on display is just as important as what’s stored inside. 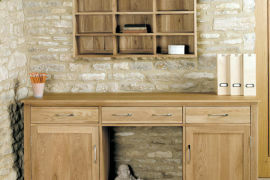 Instead of storing your beautiful objects tucked away inside a sideboard – get them out. But remember that nothing makes a surface look more cluttered than a large collection of knick knacks, so just choose a select few. 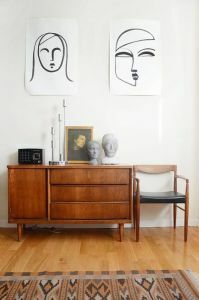 To further complement a sideboard add a striking piece of artwork. 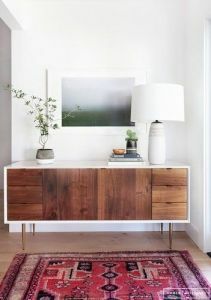 Hang the art about 8 to 12 inches above the sideboard top to form an eye pleasing connecting between the objects on display and the image – making sure that some of the items on display are tall enough to overlap the artwork. 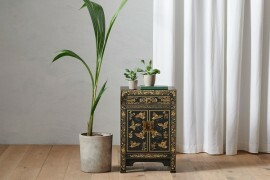 Grouping objects in three works well and creates a sense of balance on any surface as odd numbers of items look more natural and less forced than even-numbered groupings. 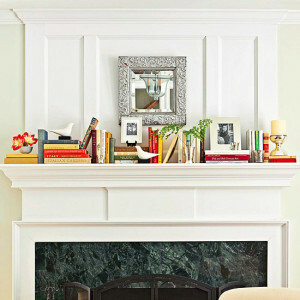 Try not to place objects on the centre of a shelf or sideboard, you’ll find that they look better grouped on one side. 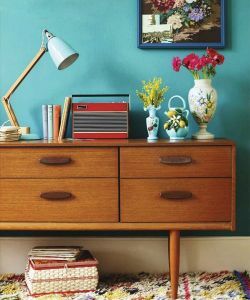 Let the objects on your sideboard tell a story about your passions and memories. 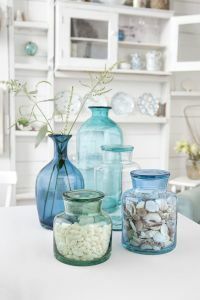 A grouping of sea shells collected from a recent holiday, a precious hand-me-down vase or roses snipped from your own garden are all great ways to give your living room’s decor a personal twist. 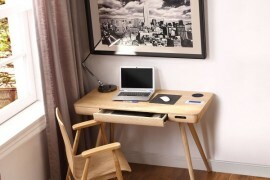 It seems obvious but choose decor that complements the colour of your furniture. The metallic lamp base we’ve used on this Mayan Walnut large sideboard really showcases the beautiful tone and grain of the wood. Think about adding seasonal decorative elements to the room – what about a vase of fresh tulips in the spring or a sea conch in summer? Natural elements can add colour and bring the outdoors in. Any books would look smart displayed in our Chadwick grey painted low bookcase with it’s contrasting oak shelves. To make your books look even better, try alternating between vertical and horizontal piles on the shelves. Horizontal stacks will break the pattern of the vertical lines and add more visual interest, making it much more easier to style the shelves with additional objects. Just make sure the rhythm is random and not the same all over. Place a throw on the sofa, plump up the pillows. 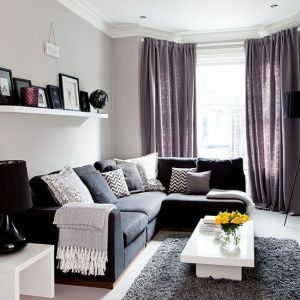 A throw over a sofa can instantly update, adding colour and texture. It’s a simple way to relax a room, creating an inviting space to curl up and read a book. 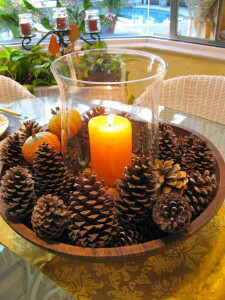 Think about adding some candles too which can really add to the ambiance of the room. 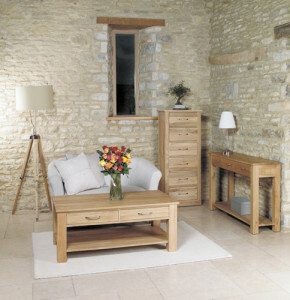 And there you have it – your living room furniture styled ready for a magazine shoot.